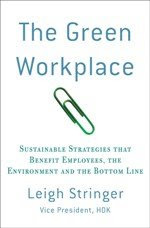 The Green Workplace: Home and Office Improvement Rocks! D-I-Y projects can be very rewarding, but can also put a terrible strain on your back and your relationships (I think there is a divorce category entitled "home improvement disasters"). Every 18 months or so, my hubby and I embark on a major home renovation project (see photo above)...working in an architecture firm, I always think I can do it myself better than I really can. I have the same illusions about my sports skills. Anyway, despite being midway through a project, I was inspired by some of the 10 Things You Must Put in Your Next House found in Builder Magazine. Some of these are super-green projects, some are super-simple, and all can be easily applied in your home or small office.